On the border between the regions of Marche and Emilia Romagna, Relais Palazzo Viviani is located in Montegridolfo, a rural town home to just over one thousand people. Montegridolfo is set on the hills of Valconca, which gently slope down towards the Adriatic sea, just a few kilometres away. The closest airports are: Rimini (30 km), Ancona (100 km) and Bologna (150 km). 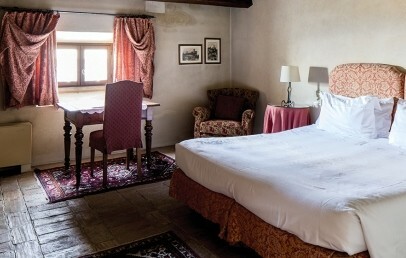 Relais Palazzo Viviani comprises a number of different buildings all located within the rural town, which include a medieval castle, the hotel’s main building. 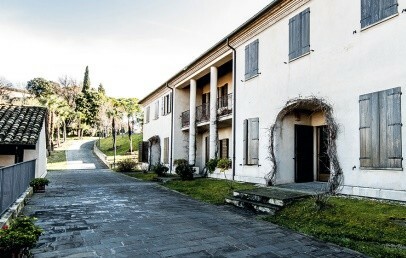 The rooms are located in the castle and in the buildings "La Casa del Pittore", "Borgo Antico" and "Borgo degli Ulivi". Surrounded by a beautiful garden, the resort offers spectacular panoramic views of the valleys, dotted with small historic towns, castles and isolated towers. The 54 rooms and apartments are distributed among the various buildings of the Relais and are divided in different categories, to suit different types of holidays: with friends, family or romantic weekends. 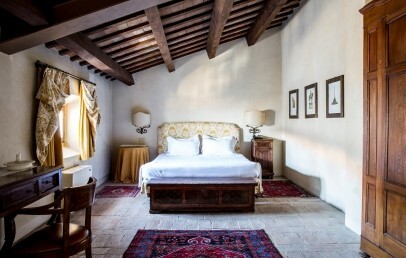 At the "Palazzo Viviani", which is the heart of the medieval castle, rich of history, are the Deluxe Zimmer and Junior Suite Deluxe. At the "Borgo Antico" are the apartments. 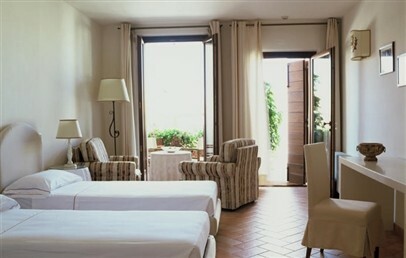 At the "Casa del Pittore", a dependence dipped in the green in front of the pool, are the Classic rooms. 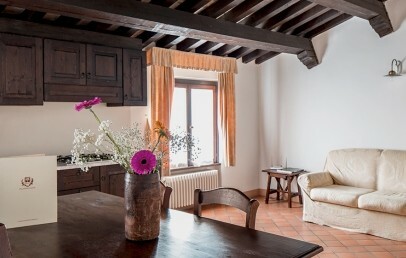 At the "Borgo degli Ulivi", dipped in the countryside with more privacy and tranquillity, outside of the walls of the castle, are the rooms on two levels, the Standard and the Superior rooms. All rooms and apartments offer comfort and are furnished with natural colours and offer air condition, minibar, safety box, complimentary Wi-Fi connection, LCD TV, bath with tub or shower, hair dryer, courtesy set, some with living area and some with panoramic view. SMOKING POLICY – non-smoking rooms/apartments. Restaurant Ristoro’s elegant dining room is inside Relais Palazzo Viviani’s main building, where the old wine cellars once were; it offers haute cuisine dishes prepared with fresh, seasonal products. This is where breakfast is served. Guests wishing to discover the traditional local cuisine can dine at Osteria dell’Accademia, which features a magnificent terrace with views of the sea. Relais Palazzo Viviani welcomes its guests with courtesy, professionalism and a free welcome drink. 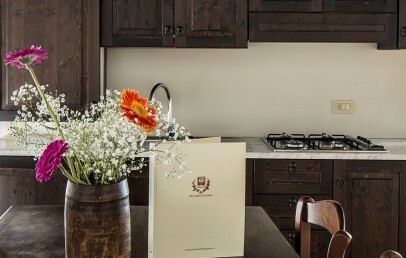 Complimentary Wi-Fi connection is available in the rooms and communal areas. Guests can relax around the outdoor swimming pool, surrounded by the hotel’s private garden. 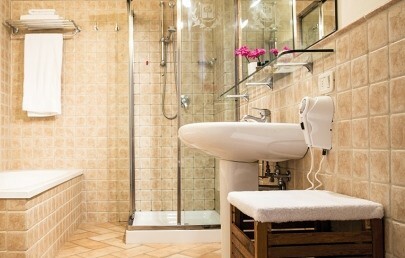 At guests' disposal is a small relaxation area, located in the heart of the “Borgo”, with Jacuzzi, sauna, massages and gym. An outdoor car park, outside the castle walls, is available free of charge. The transportation of your luggage will be duty of the hotel staff. Dogs are admitted upon request. Various activities can be organized in the surroundings, such as visit in the wine cellar, Vespa tour or cultural excursions. 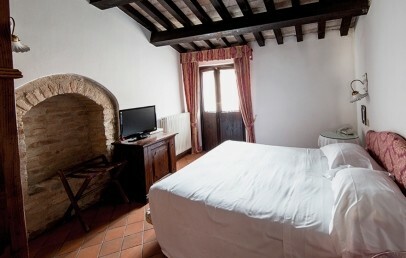 The Standard rooms are located in the “Borgo degli Ulivi”, dipped in the countryside, outside of the castle walls. 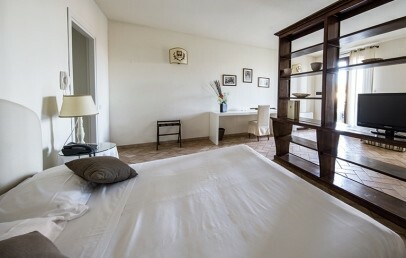 The rooms are spacious and perfect for guests, who are looking for a stay in a context of privacy and tranquillity. The bathroom has either a tub or shower. The max. occupancy are 2 adults + 1 baby in a cot. Connecting rooms are not available. 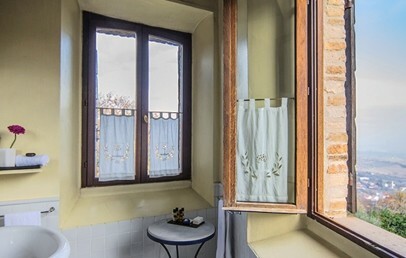 The Superior rooms are located in the “Borgo degli Ulivi”, dipped in the countryside, outside of the walls of the castle. The rooms are bigger with a living zone. 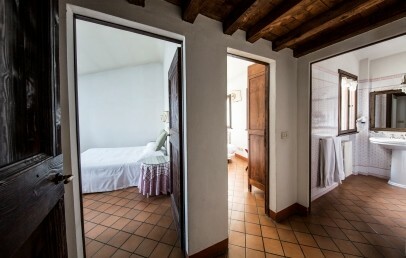 They are perfect for guests, who are looking for a stay in a context of privacy and tranquillity. The bathroom has either a tub or shower. The max. occupancy is 2 adults + 3rd bed. Connecting rooms are not available. 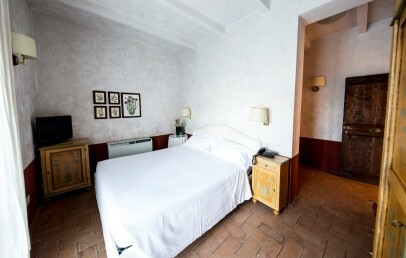 The Deluxe rooms are located in the very heart of Palazzo Viviani, the main building rich of history. The rooms are furnished with antique pieces of furniture and vintage objects, that recall the tradition and history of the Relais. 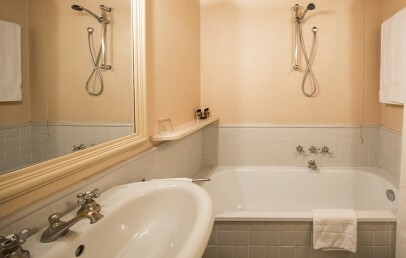 The bathroom has a tub. The view goes over the courtyard or the hills. Connecting rooms are not available. 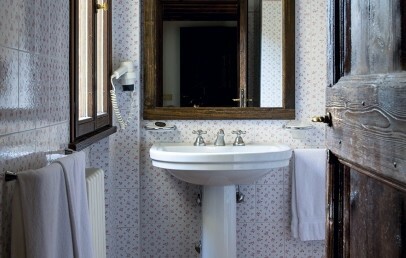 The Junior Suite Deluxe are located in the very heart of Palazzo Viviani, the Castle. They offer maximum luxury and superb comfort. 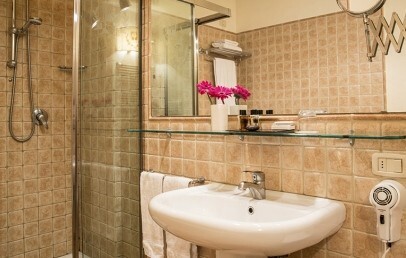 Each Junior Suite has its own name and features unique characteristics. Guests can enjoy spending time in the communal areas, such as the reading room and the lounge, which has a fireplace. 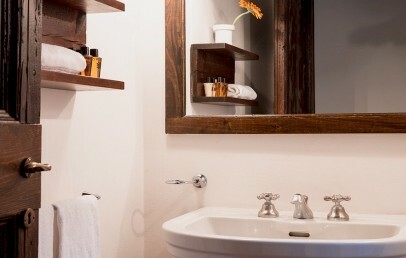 The Junior Suite have a day zone, bathroom with tub or shower and view over the courtyard or the surrounding hills. The apartments are located within the castle walls. They are characterized by a traditional style, simple furnishing and offer a family atmosphere. They have a living area with sofa bed, equipped kitchenette, a bedroom and a bathroom with shower or tub. This apartment can accommodate a maximum of 3 adults. The apartments are located within the castle walls. They are characterized by a traditional style, simple furnishing and offer a family atmosphere. They have a living area with sofa bed, equipped kitchenette, a bedroom and a bathroom with shower or tub. This apartment can accommodate a maximum of 2 adults + 2 children (sofa bed). The studios are located within the castle walls, only a short walk from the main building of the Relais. They have an individual entrance and are characterized by a simple and traditional style. They have a night zone with double bed, bath with shower or tub. 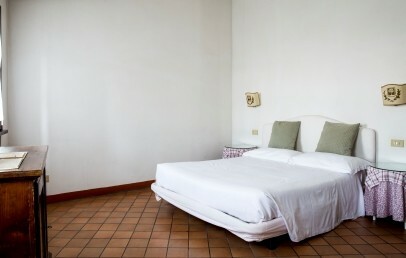 The Classic rooms are located in the separate building “La Casa del Pittore”, either on the ground floor or on the upper floor, and enjoy a lovely view over the green garden or the pool area, where guests can enjoy and relax. 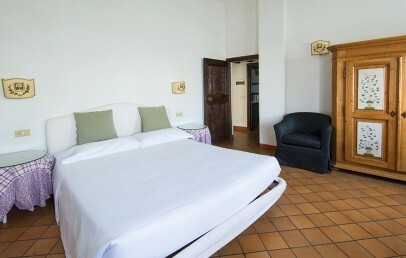 The rooms are characterized by a simple and romantic furniture. The bathroom has a shower. Connecting rooms are not available.